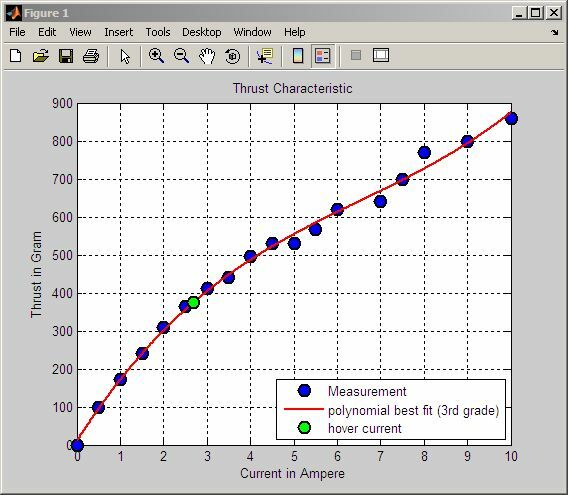 Polynomial (3rd grade) fit of the measurement points. 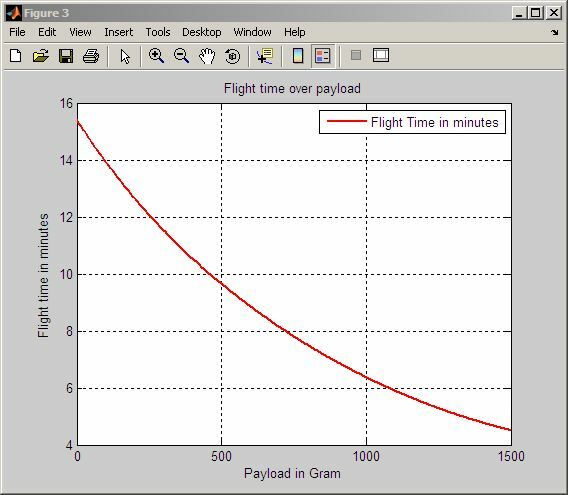 Flight Time over payload calculated out of the thrust characteristic curve. As you can see there is an optimum at about 3500 mAh for this setup. 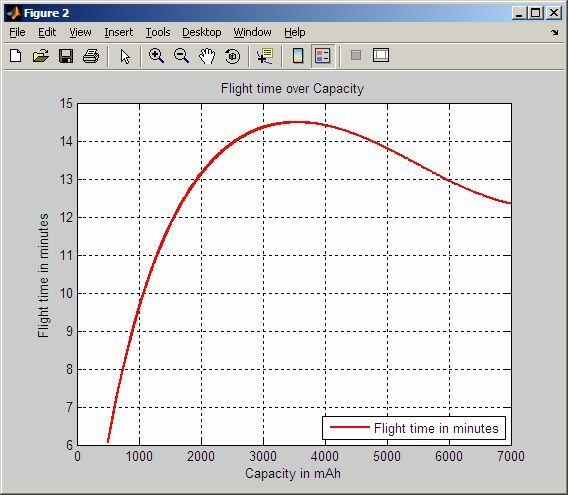 After that it does not make sense to take a lipo with a higher capacity (assumption: the LipoFactor is constant over capacity).